Muktinath Tour/Muktinath Darshan by Helicopter (03-05 Days) - Corporate Travels and Tours Pvt. Ltd. The famous temple of Lord Muktinath lies in the district of Mustang and is situated about 18 kms northeast of Jomsom at an altitude of about 3800 meter. Muktinath Helicopter Tour is easy & short way to visit great Muktinath temple in the lap of Himalayas The temple is situated on a high desire to visit the holy place Muktinath without any physical difficulties within a short time frame. Muktinath is very famous sacred place of both Hindu & Buddhist Pilgrims. Every year, thousands of Hindus and Buddhist Pilgrims from different places including India come in the Muktinath Darshan Tour by Helicopter. Muktinath is one of the most ancient Hindu temples of God Vishnu. The outer courtyard has 108 bull faces through which water is poured. The sacred water that flows in 108 pipes around the temple complex denote all sacred Pushkarini water from all 108 Sri Vaishnava Divya Desams including Srirangam, Tirumala, Vaikunta, where the devotees take their sacred bath even in the freezing temperatures. 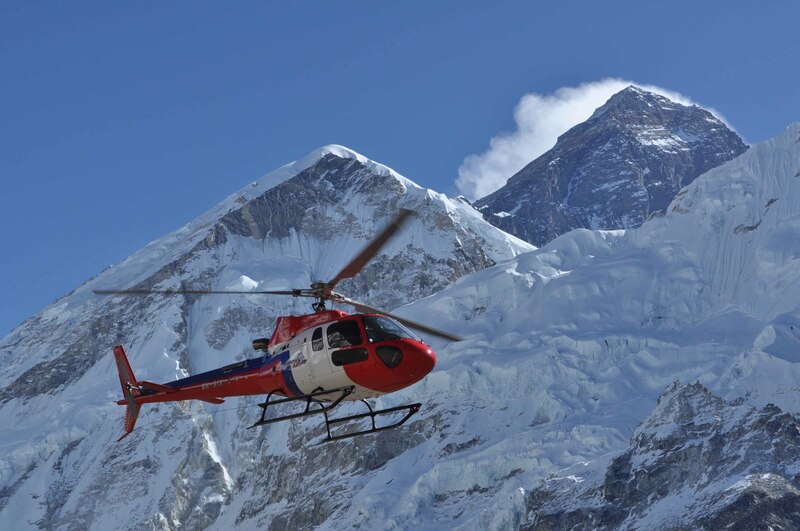 In this tour you will fly by helicopter from Kathmandu to direct near Muktinath temple or you will fly from Pokhara to near Muktinath temple to Pokhara by Helicopter . After worship and take holy bath in the 108 water spout in the temple walk down to heli pad and fly back to Kathmandu or Pokhara. Day 3: Fly Pokhara- Muktinath – Pokhara by By Helicopter and Half Day Pokhara Sightseeing. Arrival in Kathmandu, assist and transfer to Hotel by Corporate Travels representative, Evening visit Pashupathinath Temple World heritage site, oldest Hindu temple (God Shiva) Pashupatinath , Have darshan and Worship at evening there will be Arati after 6.00 PM, After see Aarati and have darshan hotel and overnight at hotel in Kathmandu. After Breakfast at hotel, you will fly to Muktinath by helicopter you will be landed near by the Muktinath temple. You will have 45 minute time to visit the temple. You will take holy bath from the 108 taps and worship (Puja) and Darshan of Muktinath Temple and fly back to Kathmandu by Helicopter and overnight at hotel in Kathmandu. Breakfast at the hotel our trip representative will assist you at your hotel and transfers you to international airport for your final departure on your required time. Arrival in Kathmandu, assist and transfer to Hotel by Corporate Travels representative, Evening free for excursion and overnight at hotel in Kathmandu. After Breakfast at hotel, you will fly to Muktinath by helicopter you will be landed near by the Muktinath temple. You will have 45 minute time to visit the temple. You will take holy bath from the 108 taps and worship (Puja) and Darshan of Muktinath Temple and fly back to Pokhara by Helicopter and afternoon Half day Pokhara sightseeing including : Fewa Lake (Taal Barahi temple), Davi’s fall, Gupteshwor cave, Evening free for excursion and overnight at hotel in Pokhara ,twin sharing*BB Plan. Accommodation: Deluxe accommodation in Kathmandu (Hotel Moon Light, Hotel Manang or similar) and Pokhara (Hotel Lake Star or Similar) on twin sharing basis. You have to pay extra if you need a single room. Cases may be different for solo travelers and odd number of groups or genetically different peoples travelling together. Human Resource: A professional and experienced license holder tour guide (English and any necessary speaking), all the expenses for the guide are covered (wages, accommodation, meals, transportation, etc.). Tax/Service Charge: All applicable taxes, service charges or fees. We hereby guarantee you of no ‘hidden charges’ afterwards. Cost of extra day(s) stay or for hiring extra guide and vehicle(s) in any cause.